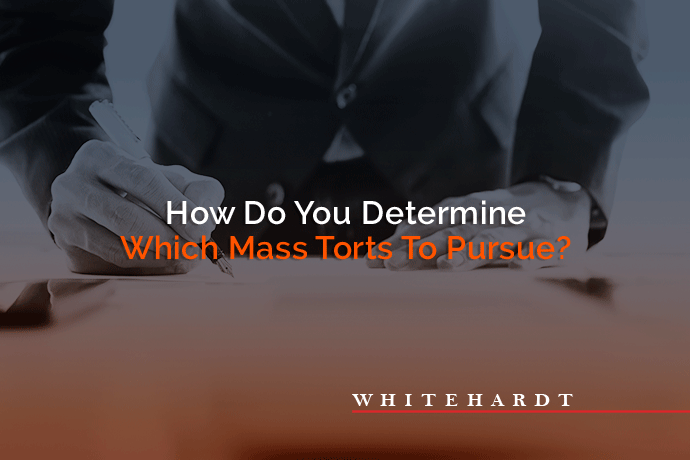 Home » How Do You Determine Which Mass Torts To Pursue? Mass tort advertising is a subject that comes up often when we talk to law firms. Understandably so, as it is one of the best ways that you can scale your practice. If you are interested in going after this type of case, there are a few items to consider. Advertising for mass torts is just that: advertising for the masses. You will be advertising nationwide to a large audience. With that comes an influx of leads, and a need to have staff available to handle each potential client. Your call center will need to be equipped to manage the increase in call volume. Paralegals and investigators will need to verify every qualified lead and gather information for each claim, and you will need a team of lawyers to oversee the larger case load. It can also take time to reach a mass tort settlement. Most mass tort firms work on a contingency basis, and we suggest you do, as well, to remain competitive. However, it could possibly be years before your firm is able to see a return on its initial investment. Your practice should be solvent enough to withstand this waiting period before you are able to recoup your fees. You can begin your search for the right mass tort by looking at the torts your competitors are pursuing. Because mass torts are dependent on FDA rulings and the verdicts of recent landmark court decisions, it is likely that many other law firms will be seeking the same types of cases. This is both a benefit and a detriment to your advertisements. The more firms that are advertising at one time increases awareness of the pending lawsuit for claimants. However, there is also added competition for the same people who have been injured. Some of the most common types of mass torts are product liability cases. 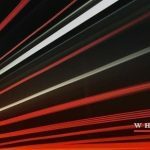 Whitehardt publishes a monthly list of the Top 10 Mass Torts In National TV Spending so that you can get an idea of the trends in mass tort spending. Sign up for our newsletter and get updates on mass tort spending sent to your inbox. Once you have an idea of what mass torts to consider, you should evaluate each one further to determine the viability of reaching a settlement. You can begin by assessing the potential number of plaintiffs. Searching for data on the number of people who may have bought a defective product or taken a bad drug is a good place to start. You will want to ensure that you are able to assign clear liability on the manufacturer. Look for a default in the design, an increased FDA warning, or proof of misleading advertisements. You also want to take a critical look at the company that you will be leveraging the complaint against. Do they have enough financial backing that it will be worthwhile to pursue them? Smaller companies will often declare bankruptcy in the face of having to pay a large settlement. Mass tort advertising is a gamble that can be very profitable, but there’s no guarantee. Nationwide advertising will likely come with a larger price tag than your local media buys, so expect an increased investment in your media plan. Because of this, you should expect the cost-per-lead to be more expensive than an auto accident or workers’ comp case. If you are willing to take a risk, you can see a very good return on your investment. 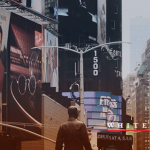 Whitehardt established its flagship Goldwater Program for smaller law firms that are interested in mass torts, but may not be able to come up with the media buy investment needed to make a mass tort successful. For a small investment, your firm can fund TV-buys branded with the Goldwater Law Firm as your co-counsel. We leverage our agency pricing with national networks to ensure that you will be getting a good rate on your media. Your investment funds your media buys, and you will receive all the leads that your commercial generates. Contact us for more information on our Goldwater program.